stock image of Pills as a background. Vitamins and antibiotics. 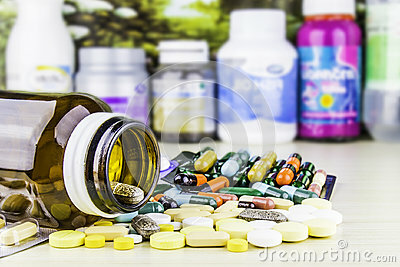 stock image of Colored assorted pharmaceutical medicine pills, tablets and capsules.